Murals, sculptures, fountains, and flames are among the art pieces you’ll see showcased along city streets, urban trails, buildings and throughout the campus of Austin Peay State University , which is adjacent to downtown. Many of the works were designed or created by Clarksville artists. The recently unveiled piece is a mural entitled, “Clarksville’s Starry Night.” The 60×40-foot painting of the Clarksville skyline rendered in the style of Vincent van Gogh’s “The Starry Night” is on the full side of a building at 420 Madison Street, facing a large parking lot. 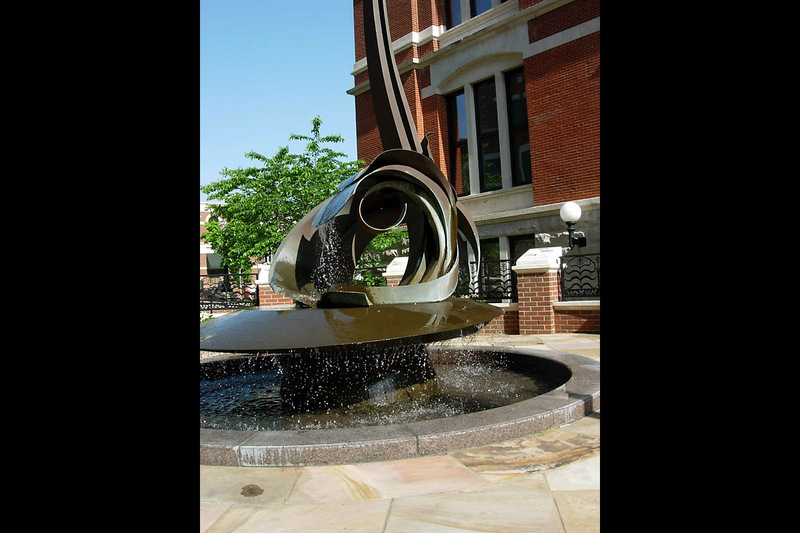 More mural and sculptural projects are in various phases of production. Bronze statue of a seated man reading a January 23rd, 1999 edition of The Leaf-Chronicle, the day after an F-4 tornado destroyed much of downtown, including the courthouse and Leaf Chronicle buildings. 200 South Second Street, Artists Olen Bryant, Tom Rice and Mike Andrews. 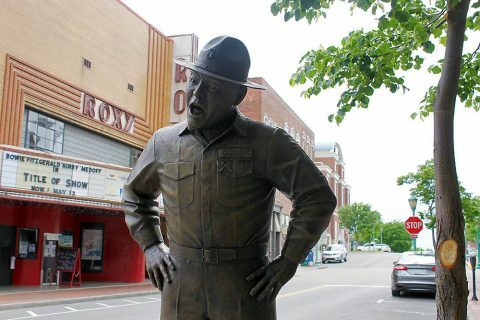 Life-size bronze sculpture of the Clarksville native who portrayed “Sgt. Carter” on the CBS sitcom, “Gomer Pyle, U.S.M.C.” Unveiled in 2017. 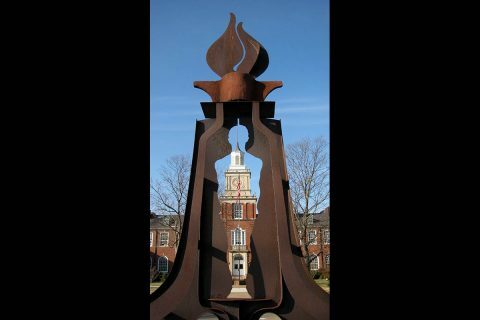 A bronze sculpture by Scott Wise commemorating Clarksville firefighters who have fallen in the line of duty. Limestone pedestaled bird sculptures inside the foyer of the Clarksville-Montgomery County Public Library. One and a half-life size sculpture dedicated to all veterans who served in the U.S. armed forces. 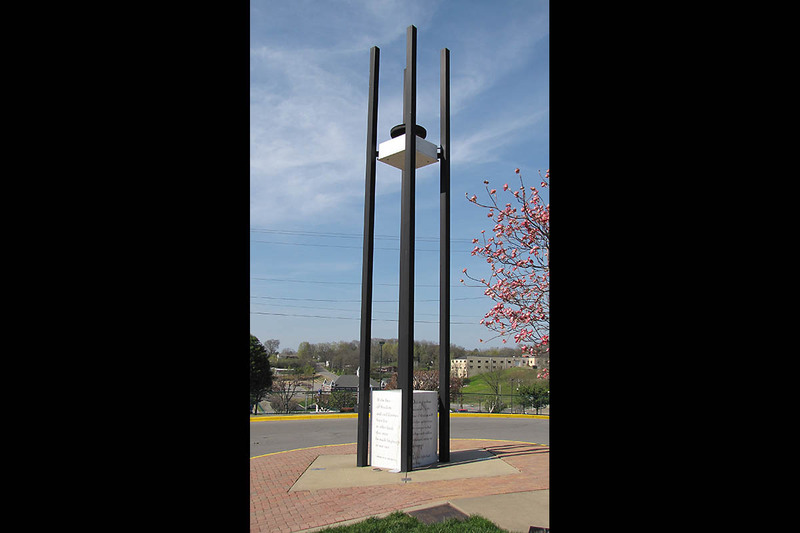 The Clarksville-Montgomery County Tourism Commission was established by the State of Tennessee in 1979 to positively influences tourism in the Clarksville-Montgomery County area by promoting tourist attractions, hosting conventions, group tours and engaging in large-scale marketing efforts. In 2015, the organization adopted the Visit Clarksville brand. 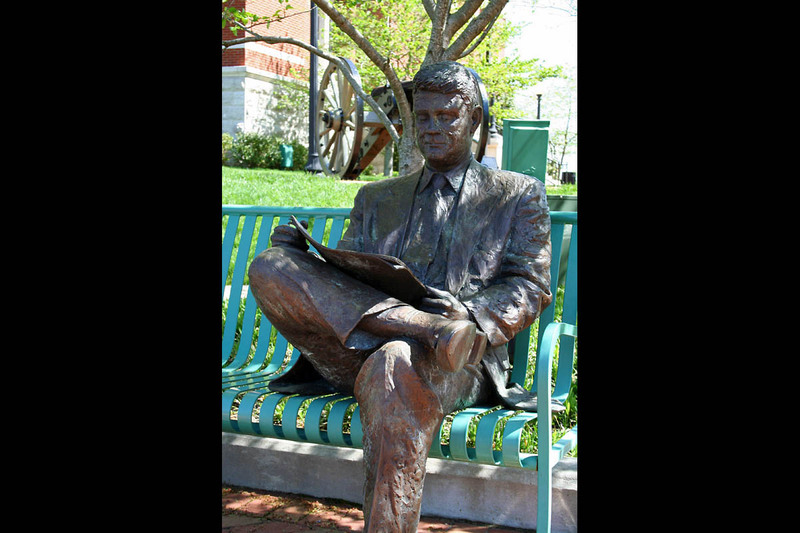 Visit Clarksville is governed by nine board of director members and is funded by a portion of the local hotel-motel tax.